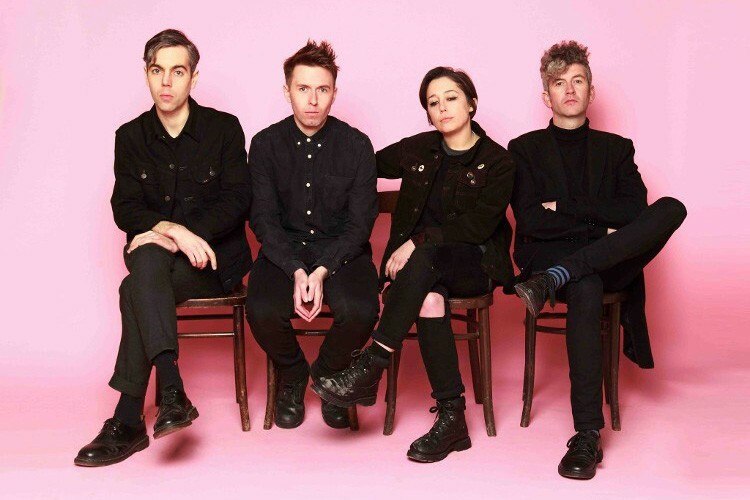 Girls Names came together as two-piece back in the summer of 2010, but over the course of a handful of EPs and three very different albums, they’ve grown in number and ambition. Their last album, The New Life, was an unexpected underground hit in early 2013, taking the band around the world and garnering much critical praise, culminating in nominations for both the Northern Irish and Irish Music Prizes. On Arms Around a Vision, they’re more widescreen than ever but also more direct and aggressive. The bass, drums and guitars are there, but so are saxophones, organs, detuned broken guitars and pianos, and even sheets of metal assaulted with hammers.